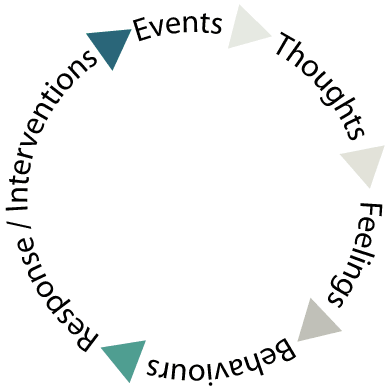 Think of anger as a cycle… it’s a reaction to a feeling… but it’s more than that too. What is it (event ) that gets to you and pushes your buttons? What are your resulting thoughts? What do you do about anger? Do you retaliate, scream/yell, get physical, threaten, throw objects, seek solace in alcohol/drugs? Important question….how would or does your partner respond to your actions? Play that video in your mind…How would you sum up the scene? Most likely it’s not a pleasant one. OK, what could you do differently and constructively? When is anger a challenge? When anger creates challenges/difficulties in your dealings with other people at some level i.e. personally, socially or at work. It can lead to poor communication or misunderstandings which can result in anger. What are the signs that anger may be a problem? What are the symptoms of anger? 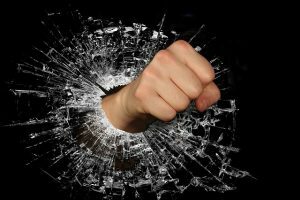 Using anger management, and what is it? ‘Anger management’ isn’t about ignoring your feelings or waiting for the moment to pass. Count to 30 (or more) – It’s about diverting your thinking for a short time so that you can avoid getting caught up in the moment and venting your anger. Time out! – When anger starts building is the perfect time to walk away from the situation. Change the scenery, deep breaths, calming your mind and body. If possible both parties should create a little space. Think before you speak. It’s so easy to get caught up in the heat of the moment. This is the dangerous time when words are spoken that cannot be taken back and regret can come into its own. Get physical – by that I mean get some exercise! Physical exercise helps to reduce stress. If you feel the anger rising, it’s time to start walking, fast, or running. That pent up anger needs an outlet to burn itself out! If going to the gym is an option, then keep it enjoyable. Meeting gym buddies certainly couldn’t hurt. Download an app to help you unwind. You could try the Reachout Breathe app or you may be able to find others through research and enquiry. Meditation is excellent if you are able to relax. What was the event all about? What led to the feelings of anger? Remember the Framework Distortions – Automatic Thoughts as highlighted above. Practice it religiously when it all gets a little too much. This method could help you with future problem solving in various aspects of your life. Persevere. When you are calm is the time to address what made you angry. This is the time to introduce “I feel” statements rather than attack the other person (verbally). Address the behaviour rather than focusing on the person. Address the situation – distance yourself emotionally and look at the issue as a challenge that has been written down and placed on the table in front of you both for discussion. Problem solving should be a collaborative process where strategies leading to the resolution of an issue is the objective. Communication is everything! A good way of productive/positive communication is to introduce the ‘sandwich method’ of good communication. By this you look at the two layers of (bread) which are positive statements. In between is the filling where a concern or issue in brought into the discussion. So, you have a positive layer, the matter that’s an issue (negative layer), followed by another positive layer. There is more about this aspect of communication in my blog articles. Home is your sanctuary. If the problems arose from outside influences, the rule is, where possible, to leave frustrations at the door. Home is for calmness, respect and safety. If there is still an ongoing problem and your anger is escalating, seek counselling from a reputable and qualified therapist. Together you and your therapist can find a way to create a more positive relationship by exploring some of the culprits that may have led to your anger ie depression, anxiety, stress, history of violence. You are entitled to a better life and so are those close to you.